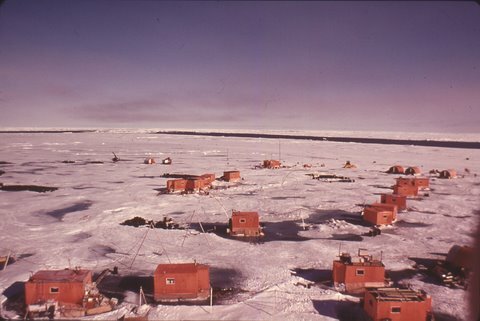 Sea ice research has long been the emphasis of research at the Polar Science Center. 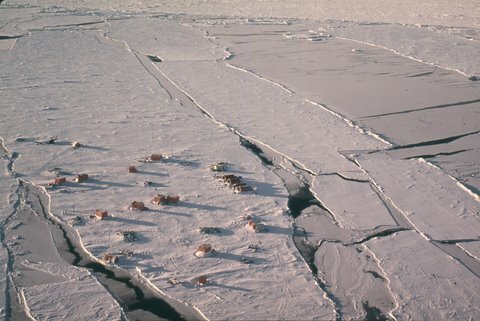 Since the Center’s inception following the Arctic Ice Dynamics Joint Experiment (AIDJEX), the topic of sea ice has evolved from basic fundamental research to a highlighted role in climate change. 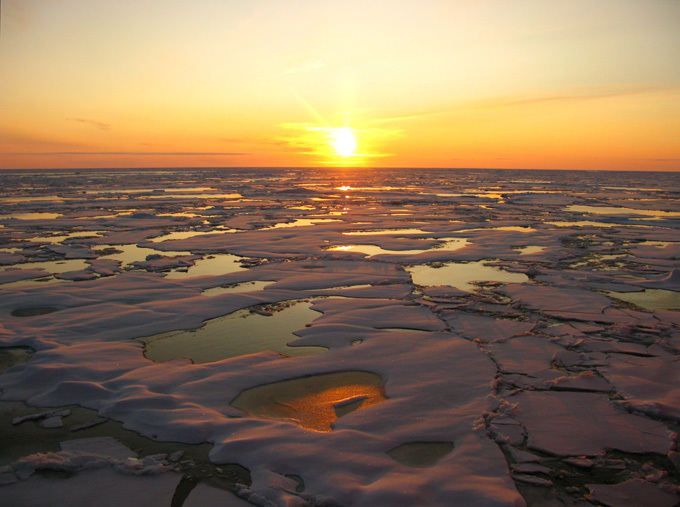 From the details of how bubbles in sea ice influence the transmission of light through ice, to the construction of global models, which help us to understand past and future variability, PSC researchers are engaged in a number of sea ice research projects. 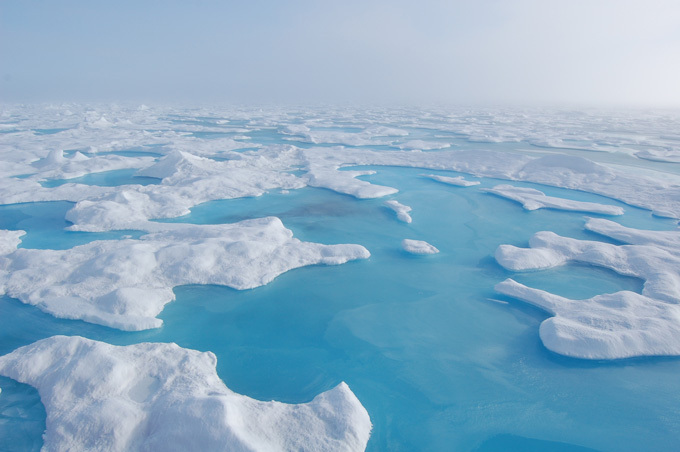 A new modeling study conducted by Dr. Jinlun Zhang to be published in the Journal of Climate shows that stronger polar winds lead to an increase in Antarctic sea ice, even in a warming climate. Steele, M., S. Dickinson, J. Zhang, and R.W. 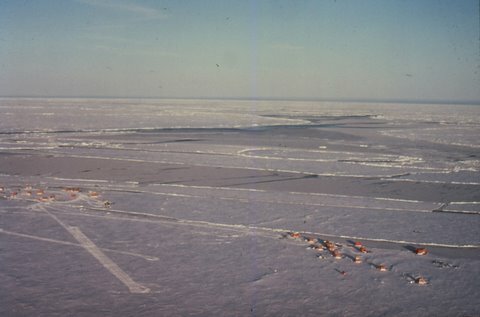 Lindsay, Seasonal ice loss in the Beaufort Sea: Toward synchrony and prediction, J. Geophy. Res., 120, 1118-1132, doi: 10.1002/2014JC010247, 2015. 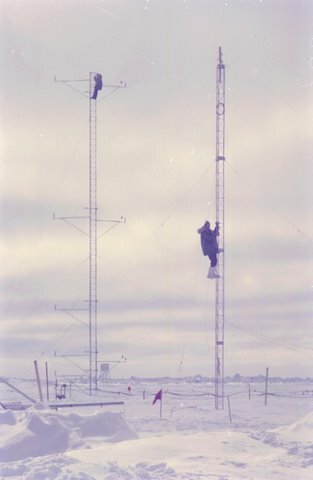 Perovich, D.K., T.C. Grenfell, B. 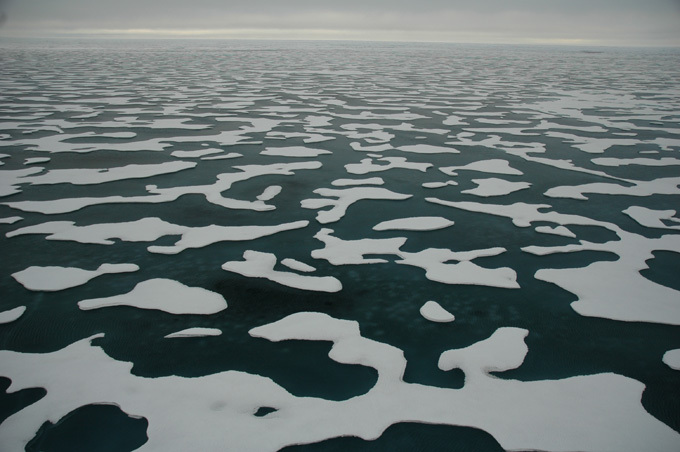 Light, et al.,’ Transpolar observations of the morphological properties of Arctic sea ice’, J. Geophys. Res., 114, 10.1029/2008JC004892, 2009. 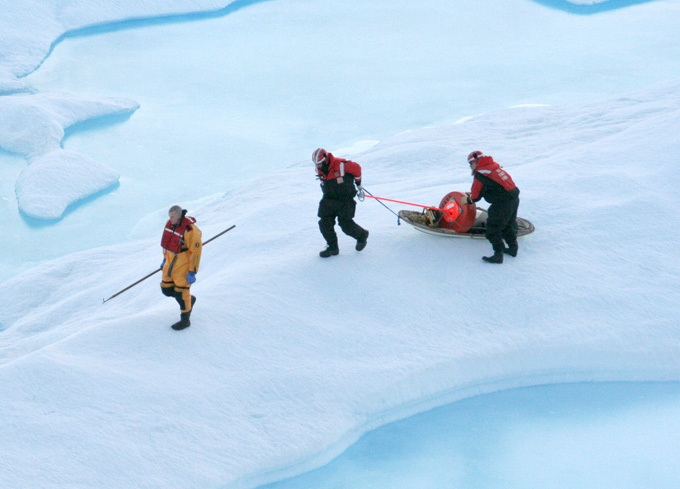 Rampal, P., J. Weiss, D. Marsan, R. Lindsay, and H. Stern, 2008, Scaling properties of sea ice deformation from buoy dispersion analysis, J. Geophys. Res., 113, C03002, doi:10.1029/2007JC004143.